Congrats to all the honorees including our own co-founder, Jennifer Pennington. 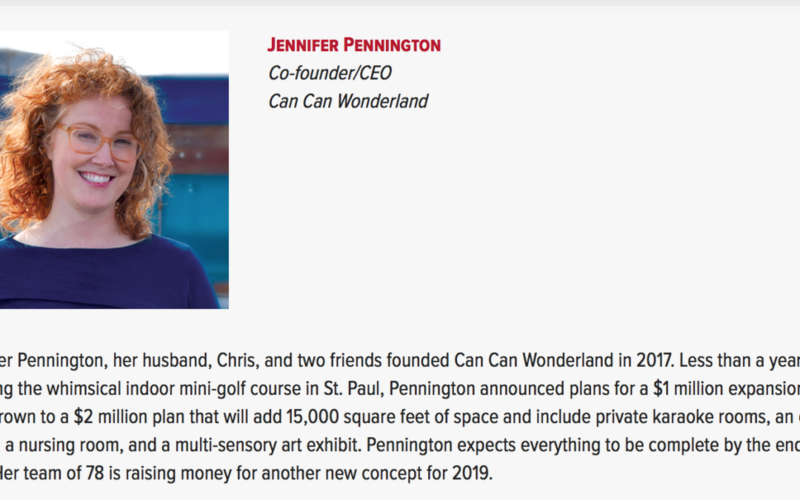 Thanks for the recognition, Twin Cities Business! Our expansion will be wrapping up soon, and we’re excited to show off all the changes! Mark your calendars for the most amazing choose-your-own-adventure art exhibit opening in early 2019!